Within 15 minutes after the information I received about 30 telephone calls and as many messages from all around Swede, Europe and even my mother's native village in South East Turkey. The happiness is enormous, almost as big as the surprise. Assyriska is in the Prime League. It's completely unbelievable. The emptiness was huge yesterday. 4000 Assyrians cried more or less openly in the soccer arena Ullevi. The grief was so big that I couldn't sit in front of the keyboard in the evening. Inside me I grieved without control. There is no justice. There is someone, somewhere who doesn't want us to enjoy all the way. We are being deprived of our place in the last second. The referee troubles and misses several orders off on players of Orgryte. It feels hard. And from the other side of Ullevi I receive malicious messages from a supporter of Orgryte. My last answer to him was, with a portion of irony: "We are God's share of an inheritance. Our time will come as well." But I could never imagine that it would come a day after. All of us knew that Orebro risked being shut off. But certainly we also knew that the chance was very little. We could never imagine that the Association [Swedish Football Association] would dare to do something like that to which will also benefit Assyriska this time. We had a bitter feeling and there was no justice. Nowhere. The darkness was constraining. I went down to Zelge, Assyriska's brave supporters' club and thanked them for the contribution. Their contribution is admirable. I prepared myself to thank the management of Assyriska because they showed a great feeling and determination in the end of the season. I wished them and all Assyrians all over the world this success. And it's a great success for the Assyrian people. Assyriska is our pride today. At last I hope that all who babble about conspiracies end up with that. I don't manage to call everyone, therefore I take the chance in this column to send my thoughts to everybody for a genuine effort. Instead of thanking he effort it's a pleasure for me to congratulate. Congratulations to the management of Assyriska, congratulations to Zelge Fan Club, congratulations the Assyrian people! Where ever you are. (ZNDA: Baghdad) Three people were killed and 45 wounded when two suspected car bombs exploded within minutes of each other outside two Christian churches in southern Baghdad (see exclusive photos below). 3 people were killed and 34 wounded. Women and children figured among the victims. The first bomb exploded outside Mar Giwargis (St George's) church at 6:26 pm. A second detonated in front of Mar Behnam & Mar Matai (St Matthew's) church, less than a mile away, less than five minutes later. Both churches in Monday's attacks were among the five targeted on 16 October. Christians in Iraq were the victims of a similar attack at the start of August in which 10 people died and dozens were injured. A guard at the Mar Behnam and Mar Matai Church in Baghdad's Dora neighborhood said the militants drove up in a pickup truck. "They were all armed," said Khalaf Enad. "They quickly poured out of> the car, pointed their weapons at me and said 'Get in.' They opened fire for over a minute and then I heard a big explosion." The blast created a crater over 12 feet wide and 3 feet deep. Church deacon Matti Qeryaqos, who lives nearby, said the explosion shattered church windows and blew the doors off their hinges, collapsing the outer wall. He said there was no service at the church at the time of the blast, and that the dead and wounded were mostly neighbors. Mohammed Aziz said strong explosions rocked the area. "I felt my house shaking three times and then saw the fire set in the church." Police sealed off the area and fired bullets in the air to disperse the crowd, according to another witness, Lyon Emad Elias, whose home faces the church. (ZNDA: Baghdad) On 6 November, Richard L. Armitage, Deputy Secretary of State, met with a delegation of the ChaldoAssyrians of Iraq. The meeting was attended by Mr. Yonadam Kanna, Secretary General of the Assyrian Democratic Movement and the Head of the Reconstruction and Services in the Interim Iraqi National Assembly; Mar Emmanuel Delly, Patriarch of the Chaldean Catholic Church; Mar Sliwa Giwargis, Archbishop of Iraq for the Assyrian Church of the East; Fr. Furat Edward Khoshaba, representing Mar Eddai II, Patriarch of the Ancient Church of the East; Mr. Fouad Bodagh, Secretary General of the Chaldean National Congress; Mr. Giwargis Khoshaba, representing Patriotic Union of Beth-Nahrain, and Mr. Younan, representing the Assyrian Patriotic Party. The meeting was attended by John D. Negroponte, U.S. Ambassador to Iraq, and William Burns, Assistant Secretary, Bureau of Near Eastern Affairs. The meeting lasted about an hour and the issues addressed included the conditions in Iraq, the plans for democracy, security after the latest attacks on Christians and their churches, and other crucial matters. (ZNDA: Baghdad) On 3 November, according to Elaph.com, Iraq's National Security Advisor, Muwaffaq al-Rubay'i, who was recently re-instated led a delegation of Iraqi Christian leaders in a meeting with Ayatollah Hussain Isma'il al-Sadr in Baghdad. The meeting focused on recent attempts by militant groups to drive Christians from Iraq through terrorism and intimidation. Al-Rubay'i outlined a number of initiatives taken by the interim government in cooperation with the Christian community to prevent the departure of Christians from Iraq. Iraqi leaders estimate that as many as 40,000 Christians may have fled Iraq in recent months, seeking asylum in Syria and Jordan. A delegation of Christian leaders met with Shi'ite Grand Ayatollah Ali al-Sistani in Al-Najaf last week (see last week's issue). Al-Sistani voiced his support for Christians in Iraq in the wake of the recent terrorist attacks targeting the Christian community. (ZNDA: Arbil) Iraqi Christians are on the move, caught in a crossfire between America and Islamic insurgents. They are fleeing a growing onslaught of violence and persecution against them. It is an exodus of historic proportions. Thousands of Iraqi Christians have fled to the neighboring nations of Syria and Jordan. CBN News caught up with some of the Christian refugees in Damascus, Syria. One Syrian refugee said, "We left Baghdad. We were forced to leave, what could we do?" Another commented, "How can I go back right now? Haven't you seen how the militant Muslims are bombing the churches?" Recent church bombings in Baghdad have induced hundreds to leave their homeland. Seventeen Christians died in coordinated attacks in August, and more than 100 were injured. Five churches were also destroyed in a string of attacks on October 16th. At least 100 Iraqi Christians have perished at the hands of Muslim radicals since the fall of Saddam Hussein. Islamic extremists threatened to kill one man's family because his father, a building contractor, was thought to be working with the United States. He says the insurgents believe Christians who work with the Americans are traitors. One Jordan refugee remarked, "The situation is so bad, we can't find a job. My father is sitting at home jobless now, scared for his life." Fear is widespread throughout the traditional Iraqi church. Some church buildings are empty. Members are either too scared to attend services or have been urged to stay home by their Chaldean and Assyrian clergy. About 70 percent of Iraq's 750,000 Christians are Chaldean or Assyrian. The Chaldeans and Assyrians were among the first Christians. They began worshipping in Iraq more than 500 years before the birth of Mohammed and Islam. Many Assyrian Christians still speak and worship in Aramaic, the ancient language of Jesus. One Chaldean church in the city of Erbil is nearly 2,000 years old. A guard armed with a Kalashnikov rifle stands watch at the gate, ready to protect worshippers from potential evildoers. The monsignor at the church asked CBN News to leave the church premises. He explained that Islamic insurgents might bomb the building if church members were seen with Americans. While thousands of Iraqi Christians have fled the country looking for safety in neighboring Syria and Jordan, a small group of evangelicals in the northern city of Erbil have chosen to stay. Some have gone through the fiery furnace of persecution, more determined than ever to remain and lead their fellow countrymen to Jesus Christ. Members of a Kurdish language house church leave their shoes at the door. It is an Islamic tradition to take one's shoes off before entering a holy place. But why would these evangelical Christians do the same? Old habits are hard to break – 99 percent of the church members are Muslim converts. They have embraced Christianity, and many have paid a high price. Most have been estranged from their families and friends. Some have been threatened with death for leaving Islam. A former Muslim, a young evangelist we will call Abdullah to protect his identity, says in the year 2000 that he was kidnapped by five men armed with Kalashnikov rifles. He was kicked and beaten because of his evangelistic efforts. He was hospitalized with head injuries and a broken rib. His attackers had warned him that he would be killed if he did not return to Islam. But Abdullah says the attack against him gave him greater spiritual strength. He said, "They tried to make me cold in my faith, but it only encouraged me to distribute more Bibles and tracts, and to share my faith more deeply. If gold is not put it the fire, it will not be purified." Leaders of one former underground secret church have faced trials of their own. Several were jailed during the reign of Saddam. Pastor Hazem was one of them. He suggests in the midst of war and chaos, many Iraqis are ready to hear the Gospel message. Hazem said, "Many in our community are wounded, and the Gospel of Jesus is the answer to their need--it's about peace and love. In the book of Joshua, God promises His people if they are holy, He will do a big thing. We believe there will be a big change in this part of Iraq." Patrick Sookhdeo of the Barnabas Fund suggests that lasting change may only come to Iraq if Christians pray fervently for divine intervention. "I can't help feeling that the forces of confusion,” Sookhdeo said, “chaos of disorder, demonic forces have been unleashed on the region. But we believe that Christ is greater, infinitely greater than Satan -- that Christ will keep His church and the gates of Hell will not prevail against that church, and ultimately He will be victorious." (ZNDA: Ankara) Three Syriac Christian families have returned to their homes in the village of Sari in Sirnak province after spending approximately 30 years in Europe. The Turan and Celik families, who left their homes for various reasons, moved to Holland, Sweden and Germany but never lost touch with each other. After spending decades overseas, the pull of their places of birth became too strong and they decided to move back. They recently applied to the Idil Public Administrator's Office and demanded the removal of the village guards who had been deployed there for security reasons 10 years ago. After the Sirnak Governor's Office moved the village guards and their families out of the village, the families returned and are trying to make up for lost time. The representative of the Syriac families, Suleyman Turan, said they had been very homesick while in Europe, adding: "We never forgot Turkey. We were forced to go to Holland 30 years ago for various reasons. A person can never forget the place of his birth. After we left, the village guards moved in here. They did a lot of damage. The state evacuated them and gave us our homes back. We have repaired some. The electricity to the village has been cut off. We have no water. The school also needs repairing. After so many years, we will once again till our soil. We will repair our church. We didn't ask anyone for help. We will do these on our own." He said three families were currently living in the village and that four more would arrive next week from the Netherlands and Germany. Semon Celik, who had moved to Sweden 29 years ago, said that they were happy and at peace after returning to their homes. Efraim Turan, who lived in Germany for 34 years, said: "Our forefathers lived here. We grew up in this village. Even if we had spent 100 years in Europe, it would have still remained a foreign land to us. Our homeland is Turkey. The village needs a lot of things right now. We couldn't bring our children back because the school has not yet been repaired. We never felt like we belonged in Europe. We always missed our village." There has been an occupying situation that started in a Syriac Village in Tur Abdin, which is situated in the Southeast of Turkey. In regards to this I would like to draw your attention to this incident. Ayinvert village residents who started land registry work in order to return to their Syriac Village Ayinvert (Gulgoze) in Tur Abdin are being stopped with obstacles. Their land registry work is being stopped with obstacles put by their neighbouring villagers of Kafsure who carry the guns of the government and are paid salaries under the village guard system. The village guards of Kafsure are claiming that some of the lands of Ayinvert villagers belong to themselves. On this basis, they threaten Ayinvert villagers and on the other hand they have started legal proceedings against them. A local lawyer asked Ayinvert villagers who are seeking legal help, a sum of 75.000 Euro in order to represent them in court. Previously, such a figure had also been charged to Sare villagers by the Governor of Sirnak. Even though, the villagers of Ayinvert have the deeds of the lands in question, the local feudal Aghas and village guards are trying to inflict financial damages upon them. In other words, they are not only facing legal proceedings for the sake of their own lands, but also even if they get a favourable decision by the court they will still suffer financial loss. In their attempts to return to their homeland the Syriac people are facing obstacles almost in every aspect. Especially, the village guards who carry the guns of the state and the feudal Aghas are trying to get the monies of the Syriac people, and with the state guns in their possession they are a serious threat to the Syriac people. There had been also been a similar incident in the Syriac village of Dayro Du Slibo in Tur Abdin. On 17th June 2004 a village guard who wanted to move to Deyro Du Slibo by force, was involved in the murder of the villages' Syriac Mukhtar Mr Gevriye Arslan. Also, the same village guards' family are still threatening the family of the deceased mukhtar. We have serious concerns about these incidents that occur in Sare, Dayro Du Slibo and Ayinvert. These incidents will have profound negative effects on the return of the Syriac people to their homeland. Because, in Tur Abdin region the rules of the village guards and their feudal Aghas are more valid than the state legal system. The Aghas and the village guards who owe their existence to the state are threatening and charging ransom to whomever they want. These powers see the Syriac people who go there from Europe as a very suitable prey. For region of Tur Abdin to become a place for the Syriacs to live at, the state legal system ought to replace the powers of the local extra-judicial system. With your help and your concern about Sare Village, previously, that village's problem was resolved. We trust that your concern will also help to resolve the problems of Ayinvert and Dayro Du Slibo. The crowds were chanting, burning American flags, burning Uncle Sam in effigy. "We marched from the University of Tehran to the American Embassy," recalled Norma Ovrahim. It was November 6, 1979 - two days after Iranian students had seized the embassy. Inside, Americans were held hostage. Outside, Ovrahim - then 18 - was in the excited crowd, protesting the United States' support for the shah of Iran. The students didn't know much about what was going on inside, she said: They had rumors, the British Broadcasting Corporation, Radio Moscow. "What we knew . was that the government of the U.S. knew that this was a country declaring its independence," she said. Ovrahim, 43, who now lives in Turlock, had no way of knowing the future: that the standoff at the embassy would stretch 444 days; that the new Islamic Republic would prove intolerant of dissent; that she would have to flee her homeland for the United States. She knew, though, that she did not want the shah back. The monarch had fled Iran earlier in the year amid rising turmoil - but she, and other marchers, feared the United States would impose the shah's return, or a new ruler, by force. It had happened before - and her family had suffered. "My grandfather was a farmer; he was politically active in the 1950s." He had supported Mohammad Mos-sadeq, Iran's elected prime minister, who incurred the wrath of the West with an effort to nationalize the country's oil reserves. In 1953, Mossadeq was overthrown in a U.S.-backed coup that brought the shah, Mohammad Reza Pahlavi, to power. Ovrahim's grandfather became a political prisoner. "He was scheduled to be executed," she said. Authorities revoked the death sentence, but imposed lifelong house arrest. "He was not allowed to leave his town." His family was punished, too. "My grandfather's house arrest was the cause of my mother and her siblings not getting an education," Ovrahim said. Even his granddaughter had to silence her opinions. "Politics had always been part of our lives," Ovrahim recalled. "But because of my grandfather . we were told not to mention anything. You could get arrested." A mocking remark she made as a teenager - saying the prime minister's beard looked like a rat - brought shushing. "I was told by a lot of people I could end up in prison, just for that." The shah's secret police, SAVAK, were dreaded. Ovrahim grew to admire bravery - and saw it in a classmate, a Muslim girl who dared to cover her hair. The shah's regime, oriented toward Western modernity, disfavored Islamic dress. "I saw how she was targeted for her faith," Ovrahim said. "I started wearing a scarf, to support her." Ovrahim's scarf was a political statement, not a religious one: She grew up as a member of Iran's Assyrian Christian minority. "The shah controlled everything," Ovrahim said - but not religion; the ruler couldn't rewrite the Koran, the holy book of Iran's Muslim majority. Ovrahim said the strain of Islam she grew to admire emphasized social justice and the human rights lacking in her society. "In our language, there's a saying," she said. "Putting a single grain of sand on a scale does nothing. 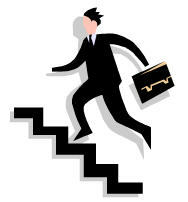 But one by one as you add the grains, eventually the sand changes the balance of the scale." When students protested Nov. 4, 1978, at Tehran University, the high school senior joined in. "The army came in, and enclosed the entire campus," she recalled. "I was right there, protesting, and I saw a person next to me who just had his brains blown out, right there. I was on the sidewalk, running away." The hostages were taken one year later, on the anniversary of the massacre. Iran's revolution did not fulfill what Ovrahim hoped would be its promise. "(Ayatollah) Khomeini and his people ended up being in charge," said Ovrahim, who feels the U.S. economic embargo stoked anger in Iran and led to the hard-liners' rise. Iran's economy spiraled down; the country went to war with Iraq in 1980. The new regime shut down newspapers; Ovrahim and other protesters took to the streets again. "My picture ended up in the paper," she recalled. "My alias name showed up . I did not feel safe." She was working to organize internal refugees, she said, people driven from rural areas by war and unemployment. Finding no work in the city, they were homeless. "I got arrested," said Ovrahim: Her work was not popular with the new regime. The risk was that matters could get worse. Dissidents were targeted. "There were people who went missing. Nobody ever found them," she said. ""I was not so worried about myself, but I could see that would be too much for my parents." Ovrahim married a U.S. resident and left Iran in the summer of 1983. Ovrahim sells insurance now. She still is an activist, in a quiet way, and serves on the Modesto Peace-Life Center's board. "One reason I'm talking to you right now is I'm hoping to educate somebody, somewhere, by being a witness," she said. "We're thinking, 'Those people took our embassy and held our people hostage: Why? Because they hate us?' It was not hate. If it was hate, they would have killed them," she said. Nationalist anger simmered 26 years after Mossadeq's removal in 1953, she said; memories are long. "I want to get people to think why these people were angry," she said. "To think how things got out of control." (ZNDA: Ankara) The Armenian government has dropped its regular reference to an alleged genocide in next year's draft budget sent to Parliament for approval, reports said over the weekend, raising questions in Turkey whether Yerevan is to undertake a policy shift to normalize ties with Ankara. "Normalization of ties with Turkey and developing relations with Georgia and Iran are among the foreign policy priorities of Armenia," the draft budget said, according to the Armenian Arminfo news agency. Azerbaijan newspapers hailed the move as "historic," commenting that international recognition of the alleged genocide was no longer a foreign policy objective for Armenia. Armenians claim 1.5 million Armenians died as part of a genocide campaign at the hands of the Ottoman Empire at the beginning of the last century. Turkey categorically denies the charges, saying that the death toll is inflated and that the killings occured when the Ottoman Empire was trying to quell civil unrest during the World War I years. There was no official confirmation of the reports, but Ankara is unlikely to make any U-turn in its relations with Armenia before Yerevan takes more steps. Armenian efforts to get international recognition for the alleged genocide is only one of the obstacles to the normalization of relations between Turkey and Armenia. Turkey closed its border gate with land-locked Armenia and severed its diplomatic ties more than a decade ago and says ties will not be normalized unless Yerevan stops supporting efforts aimed at international recognition of the alleged genocide; ends its occupation of the Azeri territory of Nagorno-Karabakh and revises its Constitution to take out provisions that include territorial claims from Turkey. Armenian observers commented that lack of a reference to the alleged genocide in the draft budget did not automatically mean that Armenia was calling off its efforts to get the alleged genocide recognized, according to Arminfo. They said Yerevan had already stated clearly enough that recognition of the alleged genocide was a priority and that a reference to "security of the country" in the 2005 draft budget was linked to the alleged genocide. Yerevan is unlikely to renounce genocide allegations in the short term they also said. A 1991 Declaration of Independence also includes a reference to the alleged genocide. Azeri newspapers said Turkish and Armenian diplomats were to meet in Istanbul next week, adding that the meeting was to include the normalization of diplomatic ties between the two countries and Yerevan's policy concerning the alleged genocide. This is in response to Mr. Johny Messo's article that appeared in the last issue of Zinda (# 40) on November 2, 2004. I need to clarify that Mr. Messo is playing with words here and presenting this author's quote in a way that altered the entire meaning of the premise. The full sentence that I wrote stated: "Why would an Assyrian professor reappear only to respond to what an Assyrian nationalist would say in these troubled times and when Assyrians are trying to unite?" Would Mr. Messo kindly answer these questions: Where was Prof. Joseph for the last few years? Why didn't he criticize for example Habib Hannonah's "The Church of the East in the Nineveh Plain" and his description of the towns and villages of Telkaif, Alqosh, Karamleh, Bartella, Baghdeda, etc? Why didn't he evaluate Yousif Hurmiz Jammo's, "The Remains of Nineveh or the History of Telkaif" regarding the Assyrian heritage of this Christian village of north of Iraq? None of the two north of Iraq natives entertained even remotely the so-called Aramean ethnic connection of these historic villages. Was Prof. Joseph objective while ignoring these accounts for example? Still, it was not surprising to see Mr. Messo run to defend Prof. Joseph, who in the past has strongly defended the Aramean existence and survival in his writings. Mr. Messo presented Prof Joseph as someone who saw himself as: 'morally obliged to reprove the biased methods of Mr. Aprim, who profiles himself as a “nationalist” as well as an “author and historian,…'". I need to emphasize here that in no time I have ever referred to myself as an author or historian. I have many personal disagreements with many of the Assyrian web masters who take my articles and add these titles to my name. I have quarreled several times with these web masters and asked them to remove these titles; however, they have repeatedly responded that they feel that my many articles justify adding those titles to my name. I gave up after many attempts. Mr. Messo is more than welcome to contact both web masters at www.atour.com and www.nineveh.com for confirmation. Why do people resort to certain ways of responding to certain individuals in regards to certain matters? To me personally, it is a matter of character. Sometimes we must understand a person and his/her background in order to have a better picture of why that person does what he/she does or say. Reality is that history is one of those subjects seldom argued for the sake of history because it is often strongly politicized. Mr. Messo, is a self-acclaimed Aramean and a well-known Assyrian antagonist according to many Assyrians I have contacted in the Netherlands. This explains his defense of Prof. Joseph. I did not label Prof. Joseph as a CIA agent, as Mr. Messo claims. I only explained the background of the institution that helped him complete his education in the United States. In fact, the last sentence about the Ford Foundation part in my article states: "This does not mean that the FF does not occasionally provide grants to individuals who might have conflict with U.S. foreign policies, yet seek academic research." It is funny that when a scholar picks and chooses his references, he is referred to as objective; meanwhile, when an Assyrian nationalist or activist does that he is accused of being biased and selective. Why is Mr. Messo undermining the work of an Assyriologist like Prof. Simo Parpola? What motivates Mr. Messo to cite a lawyer like Francis Sarguis in judging historical matters argued by an Assyriologist? What are Francis Sarguis' academic credentials in the studies of history to be cited or used in order to evaluate Prof. Parpola? If Mr. Sarguis believes that Prof. Parpola is raising eyebrows in the academic world, one can clearly see how Prof. Joseph has raised more of the same. Mr. Messo selected a quote by Prof. Edward Odisho hinting that Prof. Odisho accepts Prof. Joseph's claims that the Aramization of Assyrians was complete. Prof. Odisho in no way came close to making such conclusions. In fact, it was the Arameans who were assimilated in the Assyrian society. Prof. Odisho asserts that we, the Suraye (Asori), are Assyrians. Prof. Odisho argues that the Greeks do not have the Aramaic sound 'sh' to pronounce 'Aššur' (Ashur). Therefore, they use the softened 's',' hence Asurios was the closest they could come to the Assyrian Akkadian term 'Ashuraya' and the Biblical 'Ashuri' or 'Ashshuri.' Furthermore, since the Greek culture played a dominant role in the classical literature, the Greek form “Assur” overshadowed the original Akkadian Aššur (Ashur). It is very likely that the English terms Assyria and Assyrians were derived from the Greek. Additionally, the Greek form of the word Asurios may have spread to other languages like Turkish, Persian, and Armenian in the form of Asur (Odisho 1988, 13-14). Prof. Odisho did not claim that by the word Suraye he meant Arameans, rather Assyrians. Therefore, Mr. Messo is also picking and choosing to prove a point. Isn't this what the "scholarly world" is all about? Why do scholars, like Joseph, pick certain references when trying to make a point? In all, from the earliest times to the downfall of the Assyrian empire, one hundred and sixteen kings successively occupied the throne of Assur. This continuity is all the more remarkable when we compare it with the eleven kings of Akkad, the five of the Third Dynasty of Ur, the eleven of the First Dynasty of Babylon and even the thirty-six Kassite monarchs. This is not to say that Assyria enjoyed independence, still less hegemony, throughout the period. Several times Assur and Nineveh came under foreign rule; Akkadians and Sumerians occupied both cities for a while. Nevertheless, Assyria preserved her racial integrity and lost nothing of that spirit of enterprise, which had led her to found trading stations and colonies in far-off Anatolia in the late third and early second millennium B.C. (Parrot 1961, 1). Does that say that the Assyrians were subjected to complete Aramaization as Prof. Joseph claims? Mr. Messo later states: "Without referring to any sources, Aprim further averred that 'recent discoveries show that Assyrian Akkadian language and the cuneiform writing system was still in use well into Christianity. Who would use Assyrian Akkadian but Assyrians?'" Mr. Messo and Prof. Joseph question the survival of Akkadian Assyrian language, when neither of them is a linguist and has not thoroughly researched the issue. Joseph's lack of knowledge in this field is obvious from his false claim. 1. Jean Bottéro affirms that there existed Akkadian script that dates back to the year 74 of the Christian era (Bottéro 1995, 206). “I have argued elsewhere that Akkadian was likely to have survived throughout the Parthian period, at least until the mid-third century A.D.” (Geller 2000, 3). The claims that the Assyrian Empire fell, the Assyrians disappeared, or that they were Aramized because they relinquished their Assyrian Akkadian and adopted Aramaic is simply unfounded as the above references demonstrated. Furthermore, in Assyria, one can hardly finds documents about the Assyrian Empire affairs that were documented in Aramaic even after Aramaic was officially in use. Most of the records being excavated from the latter parts of the Empire and all the way to the date of its political fall continue to be in Assyrian Akkadian Cuneiform. The above two references assert, contrary to Prof. Joseph's claims, that the Assyrians did not stop using the Assyrian Akkadian language in the Eighth century B.C. when they adopted the Aramaic language. In fact, they used the two side by side. If the Akkadian language survived until the third century A.D., one could reasonably ask who else could have preserved it if not the Assyrians or Babylonians of Mesopotamia. (Note: Read more about this issue and further references in my upcoming book). Mr. Messo states: "So here you have already a scholar who has written two priceless books about the modern histories of the West- and East-Syriacs respectively." I wonder what Mr. Messo means by the words "West Syriacs" and "East Syriacs." Such words never existed as representation of any group of people. In recent years, we have begun casually to use the word Syriacs in reference to the Arabic word "Suryan." Historians and theologians have consistently used the "East Syrians" and "West Syrians" and not what Mr. Messo presented. Concerning the Arameans, Mr. Messo claims that: "… Joseph has convincingly corrected some of Aprim’s remarks, …" He then claims that the Aramaization of the ancient Assyrians was well documented! Mr. Messo states: "After I could not refrain from exposing Mr. Aprim’s bias á la Joseph, my actual intention was, since nobody else did, to express my opinion …"
I am surprised with such statement. I have presented many references, which show clearly that the Aramean society did not have a chance to survive as such. If so, how was Joseph so convincing, unless Mr. Messo is being biased in his accusations? It seems natural to me that an Aramean will run to defend a professor who had defended the survival of the ancient Aramean society. The above description of Aramean society is in complete contradiction with documented views by many scholars and historians. Professor Amelie Kuhet writes: “Many problems beset scholarly understanding of the appearance of the Aramaeans. Partly it is connected with the fact that the general designation 'Aramaeans' masks the fact that they are not a unified group, except in terms of their language” (Kuhrt 1998, 393). Historically, we can consider the Aramaic language as the backbone of the Aramaean society, with its wonderful contribution to mankind, as Prof. Hitti explains. However, he informs the reader that even the Aramaic script was not theirs; the Aramaeans borrowed it from the Phoenicians (Hitti 1951, 110). There is no solid proof that the Aramaeans survived as people. In due time the Aramaeans, Hitti writes: “assimilated the higher culture of their Semitic cousins, the Amorites and Canaanites, among whom they had settled” (Hitti 1961, 93). What certain scholars, such as Joseph, claim is speculations on their part at best. In Mesopotamia, the Aramaeans had considerable influence indeed. Certain Assyrian kings we are told had Aramaean wives, but after all is said and done it seems that they were assimilated within Assyrian society, just like those in Babylon had assimilated within the Babylonian social infrastructure. On the other hand, their kinships in Syria were lost to Islam. Where are the Arameans of Egypt, southern Iraq, and northern Arabia? If they disappeared from those regions, why are Joseph and Messo assuming that they survived in Assyria? Mr. Messo tries very hard to boost Prof. Joseph's image, the image of his "pro-Aramean identity" defender. Messo is trying very hard to sell Joseph to the Assyrian people and sugar coat his own opinions with those of another who praises Joseph. A common Assyrian can hardly consider an Assyrian professor, who tries to implant doubt in his/her mind, as objective. Joseph is a scholar and he has an agenda like almost every other scholar or historian. To contradict a Pan-Arabists like Khaldun S. Husry is the least Joseph could do. What is disheartening to Assyrian nationalists is when an Assyrian author or scholar goes out of his/her way to implant a "doubt" about the Assyrians' survival in the readers mind under the guise of objectivity. The problem with the scholarly community is that it is acceptable for a professor to say "A" said so about subject matter "X", however, "B" argued the contrary. However, when a common person talks about subject "X" and says that "C" said something completely different from "A and B," his work is not considered because he does not hold an advance degree. This is unfortunate. Not everything in history is documented. There are times when certain subjects had oral history and tradition instead of written history due to various reasons. Why not consider this oral history and give it the consideration it deserves, especially when logic and reason backs such historical claims? Why does Joseph continue to rely on certain 19th Century missionaries and travelers for his references? Why does not he search the most recent findings and bring sense to the bias of those missionaries and travelers who never had a chance to examine material archaeologists have excavated and is being translated? Few years back, nobody knew anything about Afghanistan; but in a span of few months bookstores were stacked with publications about the country and its people. It suddenly turned to a hot topic and everyone joined the cause. The same is true with the Kurds, who had no documented history but they created one for themselves and flooded the world libraries and bookstores, especially in the past 10 years. The Assyrian issue is not a hot topic today. There are only numbered people who have dedicated much time to address the Assyrian history from the Assyrian perspective. Assyrians need to publish as many books in English as possible. When the time comes, foreign writers will look for publications and references to use when talking about the Assyrians. We do not want the books by Prof. Joseph to be the only written material out there as their references. It is our moral obligation to embark on such a project because the day will come that the Assyrian cause will take center stage in world's politics. Odisho, Edward Y. The Sound System of Modern Assyrian (Neo-Aramaic). Wiesbaden: Otto Harrassowitz, 1988. Parrot André. The Arts of Assyria. Translated by Stuart Gilbert and James Emmons. New York: Golden Press, 1961. Bottéro, Jean. Mesopotamia:Writing, Reasoning, and the Gods. Z. Bahrani and M. Van De Mieroop, trans. Chicago: University of Chicago Press, 1995. Geller, M. J. Paper titled "The Survival of Babylonian Wissenschaft in Later Tradition," in The Heirs of Assyria. The Neo-Assyrian Text Corpus Project. Sanna Aro and R. M. Whiting, ed. Helsinki, 2000. Kuhrt, Amélie. The Ancient Near East: c. 3000 – 330 B.C. 2 vols. London: Routledge, 1998. Hitti, Philip K. History of Syria: Including Lebanon and Palestine. London: Macmillan & Co. Ltd, 1951. Hitti, Philip K. The Near East in History: A 5000 Year Story. U.S.A.: D. Van Nostrand Company, Inc., 1961. When I found out that The President of The United States is campaigning in Oakland County, Michigan. I know exactly where to go to get good tickets, and I had in mind the exact spot where I will be standing, and the specific words that I will be "addressing" the President, I had that all planned in my head, you can say I was on an important mission. Sure enough, every thing went according the plans, I was there four hours before Air Force One touching the ground In Detroit. Got my valuable spot, right in front the right side of the Podium. Got one the probs., in the shape of W . I took my golden Cross off my shirt collar, and pinned it atop of the W.
We were cheering, but I needed his attention prior to deliver the MESSAGE. They (President, Mrs.Bush, and Zel Miller) were gazing at the crowd, soon they got to me, I pointed at the Golden Cross, atop the W.They knotted their head positively and I could hear'em saying THANK YOU! I was thinking: "I got His attention,now to the next move. It was an electrifying speech, nothing was a concern of mine at that moment, not the economy, nor the budget. My intentions were far more Nobel and life saving, if you will. Finally, the speech was over, it was the traditional time to get off the stage and start shaking people's hands, Also it was my moment to deliver the message. He got down from the high stage level to our level, I totally dismissed the idea to take a snap shot, a once of a life time deal, Because I thought my words will be a Once of a life time action. Got closer and closer, and I was in a state of mine to block the noise and the cheering crowd, it seems like it was a personal meeting, as He approaches to grab my hand, I grabbed his hand and placed my other hand on his shoulder, and I shouted with passion "PROTECT THE CHRISTIAN IN IRAQ MR. PRESIDENT" He looked at me with sincerity in His eyes and replied "YES SIR I WILL." We are praying to Lord Jesus, that something is in the works to spare our brothers and sisters from a massacre, and I am sure the words will be ringing in the Commander -In -Chief's ears, or He might take it for Grain Of Salt. Had to do what I had to do,and I am begging our Church leader to do the same, or something, anything...Please!.. anything..to avoid another infamous massacre like Semele. A late wrestler, Owen Hart, used to always say these melodious words, “Enough is enough and it’s time for a change!” For years we have stomached this pure twaddle that these shotanayeh have been sticking out in front of us and obsessing with their own territorial singers that have destroyed Assyrian music and lyrics as we know it. Introducing Chobia, the dirty dance of the Middle Eastern hillbillies, and the bringing in of scotch-taped lyrics like, “Sebando qoorit thooraneh, ho-ho, ho-ho” or “Thalban min Marya, khayookh parqeeh min da dora”. Are these the lyrics we should be taking pride in? Or how about the Arab and Kurdish rhythms plastered with dunderhead lyrics that make no sense? Are these the singers that have devoted their music to the Assyrian people? I’ll tell you exactly who have donated their time and effort to the Assyrian nation through their music! During my father’s nine years as the Director of the Los Angeles Chapter in the Assyrian Aid Society, Juliana Jendo charged the AAS $1750 without a band and Linda George asked for $2500 for one night even when she was asked by her own relative. However, when inviting singers like Ashur Bet-Sargis, Jermain Tamraz, David Esha, Evin Aghassi, George Chaharbakhshi, Walter Aziz, and Shamiram, they sang for free and they even paid for their own tickets to fly over here in Los Angeles! And guess what? We raised thousands and thousands of dollars because of these singers and sent them to Garbia through the AAS in Berkeley. And some people have the audacity to boast about certain singers calling them kings and queens of music when they have not done much to help the Assyrian nation while leaving out the vital Assyrian singers who have done so much for us! Ashur Bet-Sargis and Jermain Tamraz were the starters of patriotic music in Chicago thirty years ago with their moving lyrics and powerful music. And now, they are rarely being mentioned? Why? Is it because they come from a region called Urmia? How come shotanayeh persistently boast about their territorial singers, while they choke before mentioning one from Urmia? I am sick and tired of this shotanayoota. It’s so disgusting to see that even this shotanayoota has invaded Assyrian music. Many Assyrians mentioned that Linda George and Lida Lawando risked their lives going to Iraq. Well, what about Ashur and Aghassi? They didn’t risk their lives? Were their lives not as valuable as others? What about David Esha and Shlimon Bet-Shmuel? They were tortured by the Iraqi Baathist Regime because of their nationalistic songs. They didn’t risk their lives by having the courage to sing and proudly state their ethnicity? Now, no one is even inviting them or to the least bit mentioning them! Remember the late King Biba? He was never encouraged in the Chicago clubs and community and then when he passed away, they tried to make up for their guilt by paying their respects to him. Does anyone know why he was never encouraged? Because he was from Urmia and living in a city mostly populated by those that were not from that region! Is this the pay back to the powerful Assyrian singers that have actually done so much for our nation and stood tall in the face of a vicious dictator and his regime without concern about their lives? Do these shotanayeh that are running the shows think we’re dim-witted? We’re not dim-witted; we just did not want to level ourselves to that of these certain backward people. But, enough is enough. This has been the last straw. We need to educate these Assyrian people, who are creating this territorial racism. Someone who does not know the history of Assyrian music and their singers should not try to make themselves look soft in the head by speaking of things they truly do not know about. True Assyrians do not resort to shotanayoota, but unfortunately some people force one to speak out against this. These shotanayeeh are continuously shooting down the metaphorical songs of the abovementioned artists, like the songs: Eelana by Jermain Tamraz, which gives a new meaning to nationalistic music; War of Freedom by Jermain Tamraz and Walter Aziz; La wi Shotanaya by Ashur Bet-Sargis, which gives a beautiful message to our people of unification; Khoba D’Yema by Ashur Bet-Sargis; The Massacre of Semaily by Shlimon Bet-Shmuel; Utree Khilya Bet Nahrain by David Esha; and so much more. These are the Assyrian songs that every Assyrian should be proud of, not songs that praise a Kurdish man, who in history slaughtered many Assyrians like “Sebando qoorit thooraneh”. Comparing Assyrian singers to English artists who are known by all races is, to say simply, way off. In general, Assyrians themselves barely even know the great Assyrian singers, how are others supposed to know them if they are being compared to international English ones? What kind of message do I, as well as the rest of the youth, obtain from Janderma or Marghidly? What am I learning from Sebando goorit thooraneh? Am I learning that I should be proud of a vicious Kurd massacring my own people? I receive a powerful message from Ashur, Jermain, Shlimon, David, Aghassi, and others and that message is unification and a halt to shotanayoota amongst our Assyrian selves. Not everyone has the talent to become a singer. Holding your hand up to your ear and shouting at the top of your lungs does not make you a singer. A singer should know what they’re saying and not talk about rubbish just to make people dance. I am part of the youth of this nation and I believe that our role models should be those who teach us rather than strictly entertain us. Assyrian Community Center of Canada is holding their Eleventh Rally in Pal Talk titled: "Assyrian’s Media Efficiency" and proudly presents the following Panelist"
Our Panelist will shed some light on Assyrian Media effectiveness on the Assyrian Case. This Rally will be managed by Mr. Sam Shlimon and will take place on Saturday, November 13, 2004 at 1:00 PM. Toronto / Canada time. This event will broadcast on Pal Talk in (Assyrian LeaderShip Room). The Freedom of Speech Chat Room. Please download pal talk here. George W. Bush will be the president of the United States for the next four years. In addition to winning the presidency, the Republican Party has consolidated its hold on both the U.S. House and Senate. The entire government of the United States, therefore, is in Republican hands. One of the main drivers of this victory was Christian activists who turned out in force to defeat a party, the Democrat Party, which has an overwhelmingly secular orientation. As you probably noticed, the avalanche of bad news concerning the plight of the Assyrian people in Iraq has largely been ignored by both Christian activists in the United States, and the Republican Party. There are three reasons for this. The primary reason is that acknowledging the problems inside Iraq might have damaged the President’s re-election campaign. The official story among Republicans is that everything has been going well in Iraq, and that the U.S. media was distorting our troops’ good work by only dwelling on the negative stories. To take the cause of the Assyrians as their own would require U.S. Christian leaders to admit that Bush had made mistakes in Iraq, and that those mistakes were ongoing. It was too much to ask, evidently, prior to an election. Second, there are Christian activists in the U.S. who found the plight of the Assyrians easy to ignore, since they do not consider Assyrians to be Christians. This mindset, found among some close-minded Evangelicals, only considers Protestant Christians of certain denominations to be ‘real Christians.’ They usually don’t harbor much ill-will to Eastern or Roman Catholic Christians, they simply won’t go out of their way to assist them. Third, since no visible group or organization has adopted the Assyrian cause as its own, the Christian population of the U.S. is largely ignorant of the situation. While articles appear on a regular basis concerning anti-Assyrian violence, they garner little attention. Most Christian Americans do not read and analyze news for themselves from primary sources. Rather, they rely on trusted TV pundits, newspaper columnists, pastors, and Christian organization leaders to filter and draw attention to important topics. These people are the ground troops of the Republican Party and can make a huge difference in setting the governmental agenda. However, they must be reached. Ladies and gentlemen, you have one year, at the most, to get the Assyrian national question on the Republican agenda. And the clock is ticking. Right now, the Christian power structure in the U.S. is basking in the warm glow of victory, and no election is looming until 2006. They are in a position to drop their defensiveness, and perhaps deal honestly with the needs and desires of the Assyrian people. But you have to act now, or else that window will close in late 2005 as preparations begin for mid-term elections. While having representation in Washington is important, that is only a small part of the battle. What is more important is to have Assyrian activists across the country making contacts at the local level, and generating grassroots support. Leaders in Congress respond to pressure from constituents, and the Religious Right in the United States is a master at generating that pressure, if you can get it onto your side. 1) Join your local Republican Party and go to meetings. Talk as frequently as they will let you on the subject of the Middle East and the need for an Assyrian safe haven. It is incredibly important to be known and respected by the local party chiefs. You need speaking time in front of these groups. Most have regular meetings, and most have speakers at each one. These groups will lead you to others that will be equally important. 3) Most Christian denominations in the United States worship in a non-liturgical fashion. A typical worship service consists of congregational singing, individual hymns sung by congregants, and a sermon. The sermon portion can be given by anyone, and does not have to be purely exhortation from the scriptures. Get to know the politically active and important pastors in your area. Ask them to let you address their congregations concerning the Middle East, Islam, and the Assyrians. Many will refuse, but others will either let you speak to the entire church, or will at least let you address a Sunday school class or two. This is a great way to reach people. 4) Don’t forget non-religious/non-political organizations that sponsor speakers. The Rotary Clubs always have outside speakers at every meeting. Other public service organizations do as well. a. Brief history of the Assyrians, including a map of the region. b. Description of the religious beliefs of the Assyrians (Trinitarian Christians, accept Christ as Lord and Savior, etc.) This may seem basic but it is imperative that U.S. Christians see the Assyrians as brothers in Christ. 6) Don’t forget letters to the editor in the local papers and postings to discussion groups online. Please, get involved. The future of the Assyrian people in Iraq depends on U.S. Christians taking an interest in their survival. Please contact me if I can be of any help. 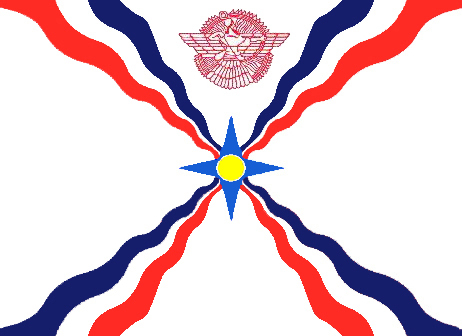 May God bless and protect the Assyrian people. This short article contains four documents from the National Archives of Australia dealing with the issue of the resettlement of Assyrian levies in Australia. At this time Australian immigration policy was dictated by giving priority to European migrants- British, Western Europe and Baltic States. Potential immigrants from Asia and the Middle East were simply ignored. In the post-1945 period, the United Kingdom High Commissioner in Canberra approached the Australian Government to see if they would be willing to take some of these levies and their families. While the Australia may have been “ sympathetic” to the plight of these gallant people who had greatly assisted the British forces in putting down the Rashid Ali revolt in May 1941. It did not really help their plight as the External Affairs, Prime Minister’s and Immigration Departments and State Premiers had raised objections to their re-settlement in Australia. The most notable concern raised by the Australia Government was its“[opposition] to the establishment of alien units which could not be readily assimilated.” The Assyrian levies in Iraq were part of the British army having their own units and officers. It must be pointed out that Assyrians domiciled in Iraq were considered Iraqi citizens. In Australia the notion of “alien units” would not be tolerated. All aliens and naturalized subjects who joined the Australian armed forces were required to swear allegiance to the British Crown. Australia pursued an immigration policy that required all its new settlers to become assimilated as quickly as possible. The cornerstone of Australia’s immigration policy (better known as the White Australia policy) from 1901 to late 1960’s discriminated against colored, Asian and Middle East peoples. It was heroic efforts of Y.T Kanna in the mid-1960’s that led to the Australian Government changing its immigration policy by allowing Assyrians to resettle in Australia. (ZNDA: Stockholm) The Assyriska football (soccer) team, formed in 1974 by the Assyrian immigrants from the Middle East 30 years ago, entered Sweden's premier football league this week. Assyriska has made the ascent from the lowest Swedish division. They lost to Orgyte this past weekend in a playoff and thought its hopes of reaching the top Swedish league were dead. Sweden's football association's Elite Licensing Committee decided to strip cash-strapped Orebro team of its premier league or Allsvenskan licence and give Assyriska their place. A spokesman said Orebro still has three weeks to appeal. A decision on an appeal would likely be made in December. Assyriska was founded in 1974 by mainly Christian immigrants from the ancient region of Assyria which spans parts of Iran, Turkey, Syria and Iraq. Assyriska chairman Zeki Bisso says the club has support in around 80 countries, wherever Assyrian immigrants have ended up living. Assyriska finished third in the first division and went to a playoff with Orgryte, third from bottom in the premier league. They won the first leg 2-1 at home, but Orgryte won 1-0 in the return leg on Sunday with a goal in stoppage time, making them the victors on the away goals rule with the result 2-2 on aggregate. Assyriska lost the second match (away) on 7 November by a score of 0-1 and the goal came by mistake as the ball touched an Assyriska player and entered the goal in the last moments of the game. Despite the fact that Assyriska won its first match (3 November) by a score of 2-1, the Assyrian soccer team failed to advance. Both teams had one win, but when the league counted the goals scored by each team to decide the winner Örgryte goals counted as double, i.e. 2 goals, since it was scored away from home. The total goals that Örgryte scored were 2 at Assyriska (while away) and 1 at home for a total of 3 goals. Meanwhile Assyriska scored only 2 goals at home with no goals away. Therefore, the aggregate favored Örgryte 3-2 and Assyriska lost its normal bid to advance. As many as 4,000 Assyrians attended the final game. Despite the loss, a surprise turn of events was proposed on Monday, 8 November 8 by the Swedish Soccer Federation. It demoted Orebro and promoted Assyriska from the Super 1 to the Premier League. Assyriska was chosen because of the good season it had resulting in the two qualification matches. Furthermore, Assyriska held third place in the Super 1 League and the first and second positioned teams have already advanced to the Premier League. On Monday evening the celebrations at the Assyrian Association of Södertälje began with a few hundred Assyrians gathered. Between 4 and 7 pm, over 1,000 Assyrians gathered in the city's center and from 9 pm until 4 am the next day, more than 2,000 Assyrians flocked to the Assyrian Association of Södertälje. Admission was free to public and four Assyrian singers entertained the crowds all through the night. The memorable moment of this evening was the arrival of the Assyriska soccer players who quickly found themselves surfing over the crowd. The decision to include Assyriska in Sweden's Premier League has been having an unexpected positive effect on the Swedish and European media. 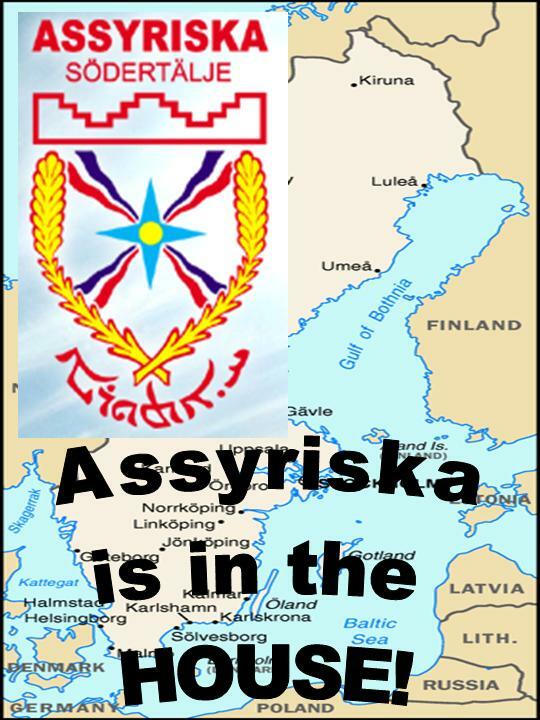 Certain news sources have begun investigating the long history of the Assyrians and Assyriska is dubbed as the "national team of Assyrians".